You are here: CLE Properties Latest News General WHAT CAN WE EXPECT FOR SA'S PROPERTY MARKET IN 2019? They tell us that the worst is over, but I am not convinced that is the case, when talking about the Gauteng property market outlook for 2019. The market is currently skittish, with many adopting a wait-and-see attitude, and this is likely to continue for a number of months. In order for the South African property market to show any kind of improvement and growth in 2019, it requires policy certainty, especially around the land appropriation issue, as well as investment and an economic boost. Therefore there is no expectation of a major recovery in any market sector in the year ahead. Therefore over the next 12 months, the South African property market is expected to perform much has it has during 2018. Looking at the positive side, property is currently well priced, and as inflation increases, so will property prices. There is no property bubble brewing, we believe that at the moment there is an under-demand for residential property, not an oversupply as would be the case with a property bubble. These challenging conditions are directly as a result of a tough economy and the resultant financial pressure it places on budgets as well as consumer confidence. The commercial property market has experienced tough trading conditions during 2018, especially in the office space sector, although there has been some movement. Sales have mainly been to end-users as opposed to investors, and have predominantly taken place in the R3 million to R50 million price brackets. Slow, if any, recovery, growth or change is expected in the commercial space in the year ahead. We expect 2019 to hold continued slow enquiries on newly developed residential units. Although the lower end of the market performed slightly better than its middle- and upper-level counterparts during 2018, the public sector cuts expected in 2019 will have a strong influence on investment in the lower end of the property market in the foreseeable future. The middle and upper end of the market enquiries are slow, with many adopting a wait-and-see approach. The most active price bands during 2018 for new development sales have been between R500 000 and R1.2 million, a trend that is expected to continue into 2019. The fact that we are seeing an increased level of delinquent applications is a sure sign of the financial squeeze households are under. This has put pressure on monthly rental prices, making tenants very price sensitive. The lower end of the market, where rentals are pitched at around R5 000 per month, has seen the highest level of demand, again a trend expected to continue into 2019. Looking at the second-hand residential market, the northern suburbs of Johannesburg have experienced average trading conditions with more movement than other sectors as sellers are able to be more negotiable on their price and accept lower offers. The upper end of the market continues to be slow, with more movement seen in the middle- and lower-priced properties. In the residential space, the trend of people wanting to live closer to their place of work and major public transport facilities like the Gautrain will mean rentals and properties for sale in the business hubs of Bryanston, Rosebank and Sandton and surrounds will continue to be popular options. 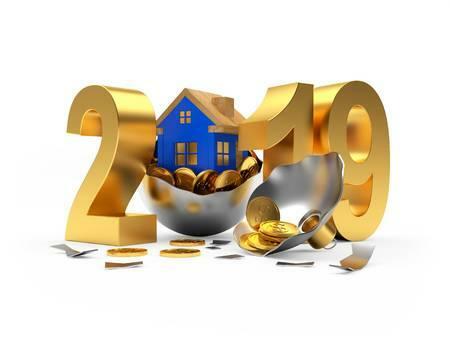 The outlook for 2019 is much more of the same, with continued sluggish trading conditions expected for the property market, hampered by the poorly performing economy and increasing cost of living. Policy uncertainty and the political climate is certainly also adding to many buyers' wait-and-see attitude towards property investment, and the hope is that after the election things will settle down somewhat. Therefore cautiously optimistic that there will be a slight improvement in the property market towards the second half of 2019.